How does it feel to walk in the shoes of your favourite literary heroine? 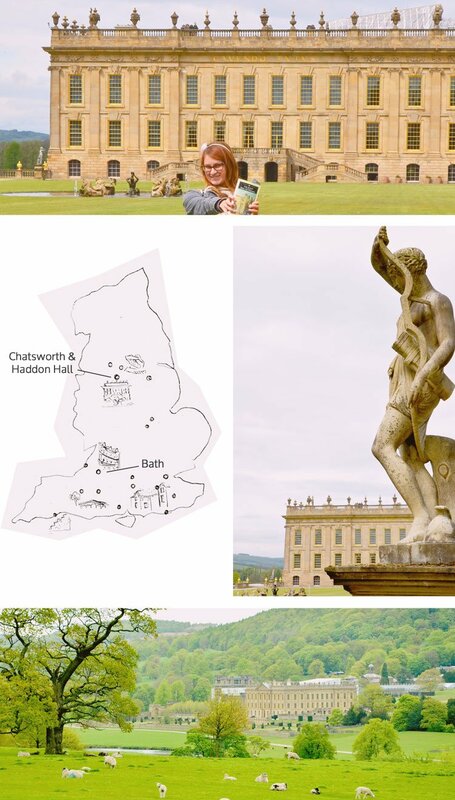 To finally see actual Jane Austen filming locations and places that her novels described? Seeing that marvellous house that lent itself as a source of inspiration to what would be widely known as Pemberley. Walking its extensive grounds, marvelling at its intricate and extravagant interior, all the while being armed with the book that would lead girls and women all over the world into the pitfall of an endless search for Mr Darcy. So how does it feel to finally have arrived at Chatsworth House? 2 Is Chatsworth worth a Visit? 3 Give me more Jane Austen Filming Locations! 3.1 What’s your favourite Jane Austen novel or adaptation? And would you travel to a location from the books or films? Let me know below in the comments. And that was shocking. But even shocked didn’t feel like anything. Maybe I was in shock. In shock of how Chatsworth was exactly how I had envisioned it from the pictures I had seen. In shock over how insanely extensive and far reaching it is. In shock over just how pretty with its smooth meadows dotted by grazing sheep and sleepy lambs, winding streams and perfectly cultivated landscape. But even more so was I in shock about its interior. Grand does not even come close to what awaits you inside. Marble statues, gold furnishings pompous beds and an art and book collection that counts as one of the finest in all of the country – you bet that such a sight would have rocked the socks off of Elizabeth Bennett and made her double think about Darcy’s virtues and reflect upon him from a different standpoint. To be fair, it is not a hundred percent certain if Pemberley was entirely based on Chatsworth but the 2005 film adaptation (my favourite Austen adaptation) captured a lot of this estate on film. From the prominent exterior to its fine statue gallery, where Lizzie beholds the bust of Darcy and realises just how much she actually fancies him when he cannot throw snarky comments at her. By the way, a replica of the bust is even for sale in the shop (didn’t fit in with my luggage restrictions, though). Is Chatsworth worth a Visit? But besides the literary ties and interesting to know for non-Austenites as well, Chatswor th House has a remarkable history and has welcomed royalty throughout its existence. But it was not always like that; it wasn’t even always the same house. At one point in history the typical Tudor style house was torn down and rebuilt brick by brick in the neoclassical style it is known for today. And then it nearly fell into disrepair until the ingenious last Duchess of Devonshire took it upon her to turn it back to its old glory and make it a money machine to keep up with the preservation costs. Now Chatsworth even produces its own food and has been awarded best English farm shop and attracts over 50,000 visitors per annum. 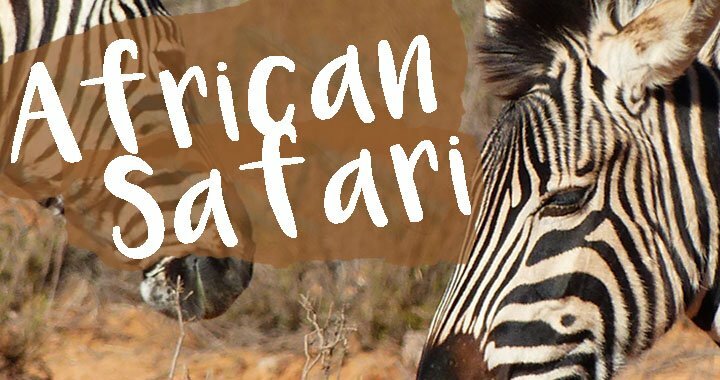 It lies on an area with over 105 acres and more than 30 publicly accessible rooms (from January to March it is closed for cleaning and conservation). If you happen to be around during one of the many festivities (I really need to come back at Christmas! ), all the better. And if you failed to bring along your Pride and Prejudice memorabilia to take cheesy selfies (not that I would speak from experience, ehem), you’ll find stacks of them in the shop, naturally. I really liked the photo book of Pride and Prejudice being re-enacted by guinea pigs . You can enjoy some English tea time in the gardens or take a garden tour, but I preferred a quiet stroll by myself with my favourite book – Pride and Prejudice of course. Despite the grandeur of Chatsworth’s interior, the Keira Knightley film adaption was not shot inside except for the hall of statues. And so I moved on to the nearby Haddon Hall to spot some more locations. This was a bit trickier as not many scenes were shot here. Originally, Haddon Hall was supposed to play a larger role but due to its Tudor architecture style, was downgraded to only serve as the pub where Lizzie receives the ominous letter about Lydia’s elopement in the Lambton Inn. 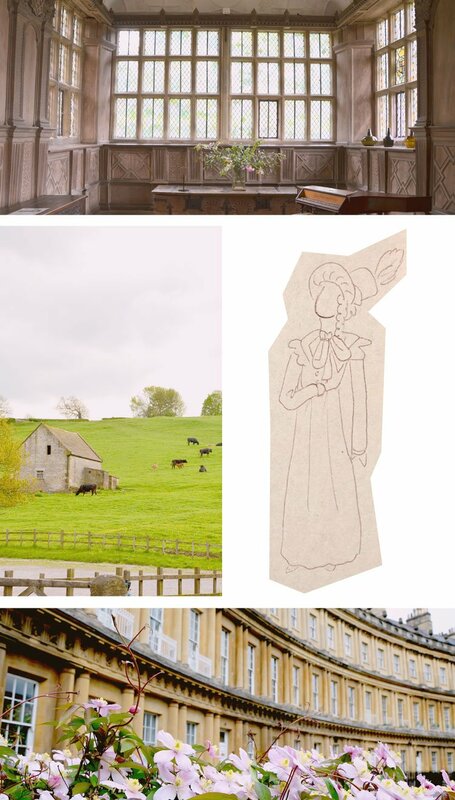 Give me more Jane Austen Filming Locations! My next station naturally was Bath as not only her first and last novels, Northanger Abbey and Persuasion, were set here but Jane Austen spent many a holiday during her childhood before eventually moving here after her father’s retirement. That’s when Jane started to hate Bath because of its crowds and noise, she much preferred the countryside. Moving around town a bit and later around the countryside, you can visit a couple of her former residences. I even slept in one, at Bath Boutique Stays in 4 Sydney Place. A favourite routine for her were the walks in the opposite Sydney Gardens and the view of the Holburne Museum – which is really a nice art museum – from her house. During my tour around the Jane Austen Centre I learned that her most productive writing times took place while in the countryside, in her birth town Steventon and Chawton to be exact. She was a country girl and didn’t like living in the city and engage in petty gossiping, husband finding. 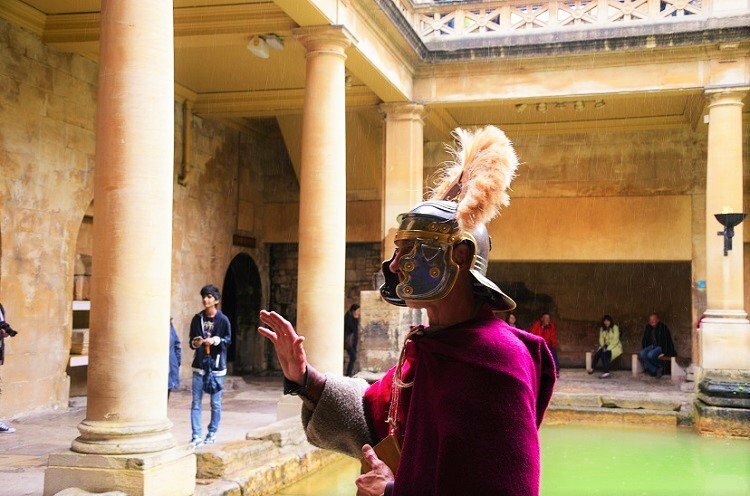 In Bath, you have quite a lot of places to visit when it comes to her (reluctant) homes as well as Austen filming locations, such as the Bath Assembly Rooms, the Pump Room and Royal Crescent No1 that stood in for Camden Place for the 2007 Emma film adaptation. Sense and Sensibility from 1998 was filmed in Bath as well to actually show London streets. 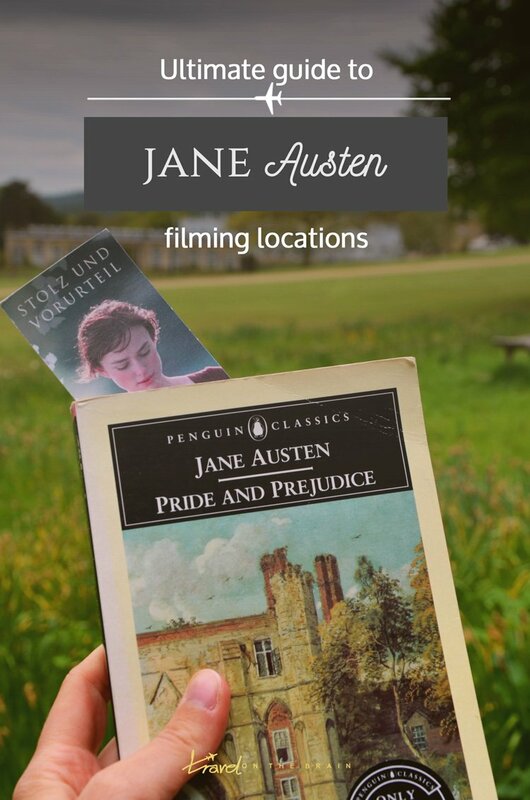 For both the novels and the Austen filming locations, there are many other spots that you can visit, no matter if you are travelling England’s South or North. To spare you all the tedious research, I went ahead and put together a list and map of the places you can visit. You’re welcome. Feel free to pin with or tweet to Jane Austen loving friends. What’s your favourite Jane Austen novel or adaptation? And would you travel to a location from the books or films? Let me know below in the comments. So cool! We’ve always wanted to do a trip centered around filming locations. What a great way to experience England! Hi Taylor, so you are a film nerd as well? 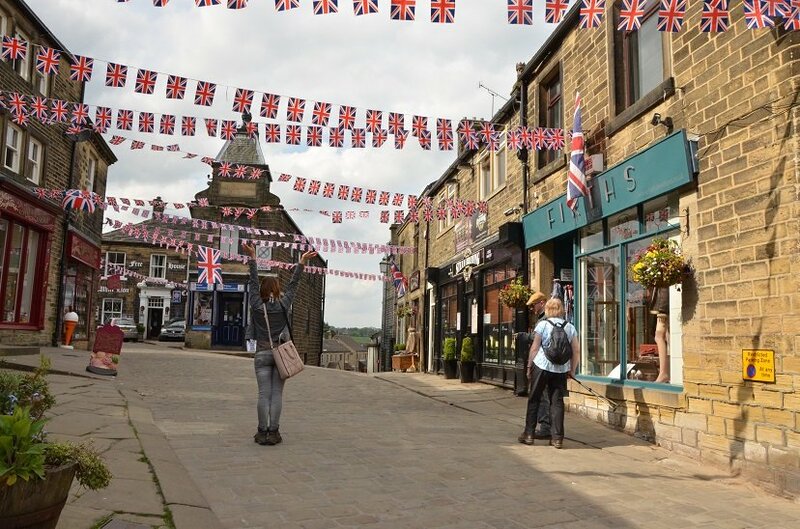 I love visiting filming locations all over the world and try and recognise certain sets and scenes. And I particularly love British films, so this is a great way to tap into both my passions: England and movies! As an English Literature graduate, I loved this!! It’s the main reason I want to visit Bath. Loved Northanger Abbey! 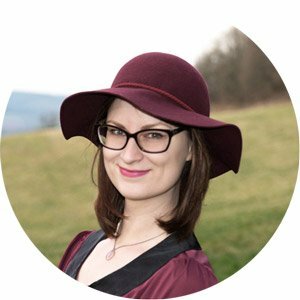 Hi Dannielle, ah, you study literature? I did too! I absolutely loved it and it’s a dream come true to not only analyse the books (and binge read) but to actually visit real life place! Is Northanger Abbey your favourite Austen book? You will love Bath then! Hi Amrita, Sense and Sensibility is such a great novel (and I love the film adaptations as well!). In the Jane Austen Museum there actually was a wall full of photos from the set as Emma Thompson donated them to the museum in memory of Alan Rickman. It was very touching. 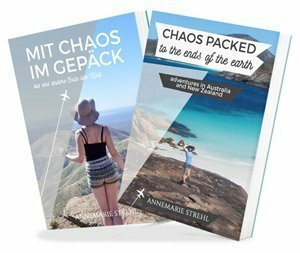 I hope you can visit these places yourself in the future but am glad that I could take you with me through my writing. WOW so much information! I’m saving it for my upcoming trip to England. Was doubting between going back to Cambridge (it’s been a while since the last time I was there) or going somewhere else, I may take a literary detour :) Thanks! Any idea where the 1980 version of Pride and Prejudice was filmed? That was my first encounter with Jane Austen, PBS Masterpiece Theatre. Hi Gia, the 1980s version was mostly filmed in Lincolnshire. Check out Renishaw Hall (Pemberley), Thorpe Tilney Hall (Longbourn), Well Vale in Alford (Netherfield) and Doddington Hall (Charlotte’s place).